Warren Art League painting culverts on Conewango Ave.
It’s not just a bridge anymore. The culvert that allows Indian Hollow Run to pass beneath the section of Conewango Avenue between Roy and Pioneer Streets is getting a facelift. Members of the Warren Art League (WAL) will be painting the concrete structures above the culvert as a community service project. Permission to paint the culverts was given from PennDOT, said Wilma Fleming, co-chair of the WAL. Initial work on the project began earlier in June, said Fleming, and the creek-side portion was painted on Tuesday by Flemming herself. 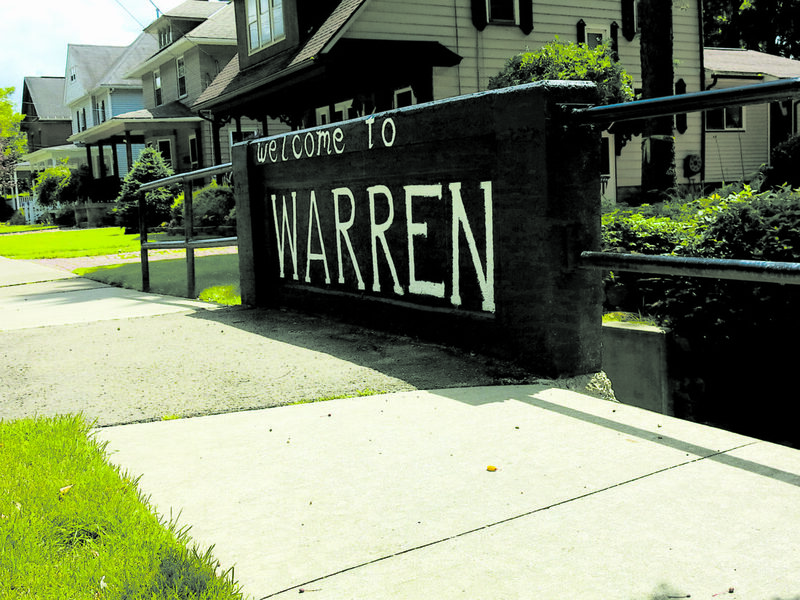 Art League members will be painting a mural on the opposite concrete wall in the coming weeks, with the goal being to finish the project in advance of Warren’s Fourth of July celebration, Fleming said. While the final decision about what to place on the opposite structure hasn’t been nailed down as of yet, Flemming said that the general consensus is to create a mural or painting of native wildlife. The Warren Art League was founded by a group of artists in 1953 to promote an appreciation of visual arts in the Warren County community. The original group elected yearly officers, held classes for all ages, and offered visiting artist workshops for the membership and community.